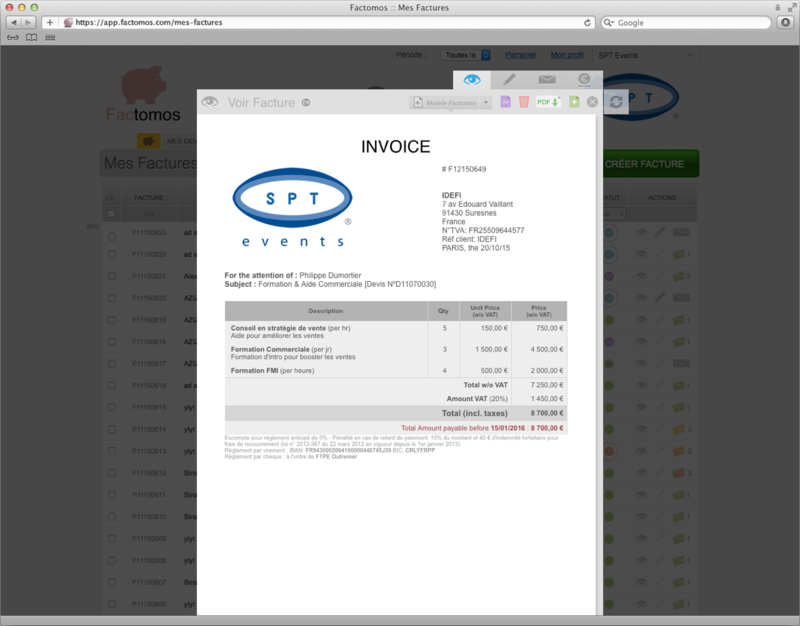 Factomos in 2 lines: Make your quotes and invoices as simple as checking at your emails, gathering the billing, bank and accounting information. 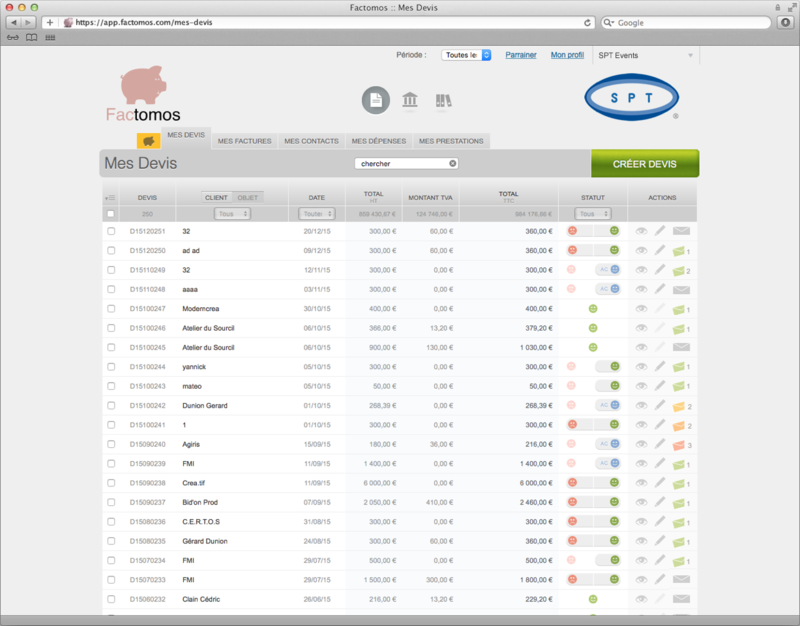 Factomos is an online software (SaaS) which allows its users to edit quotes and invoices, to send them by mail and to track their payment. A "Cloud" archive, or digital workbooks (GED), to store files and share them with clients or their accountant. 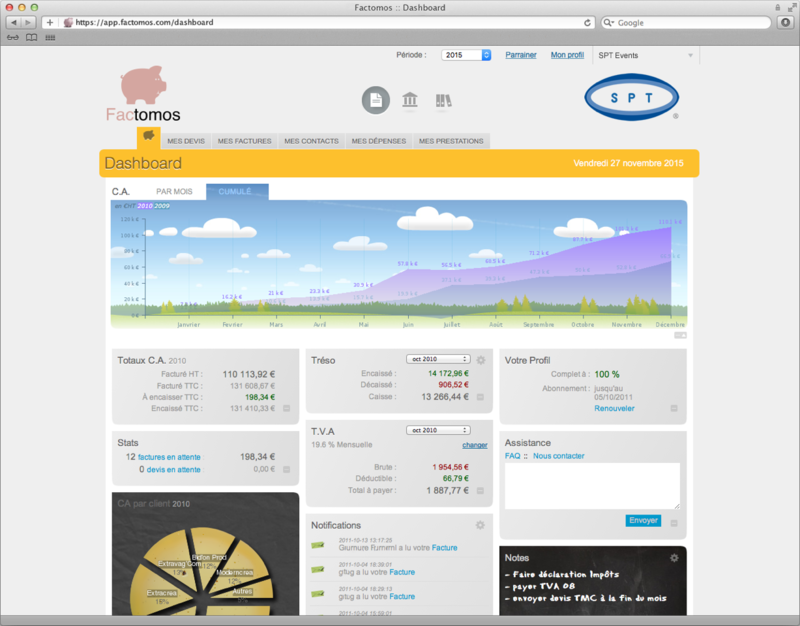 Factomos is aimed at the Independent Entrepreneur, the small/medium business or even the Author/Artist (MoA or Agressa). 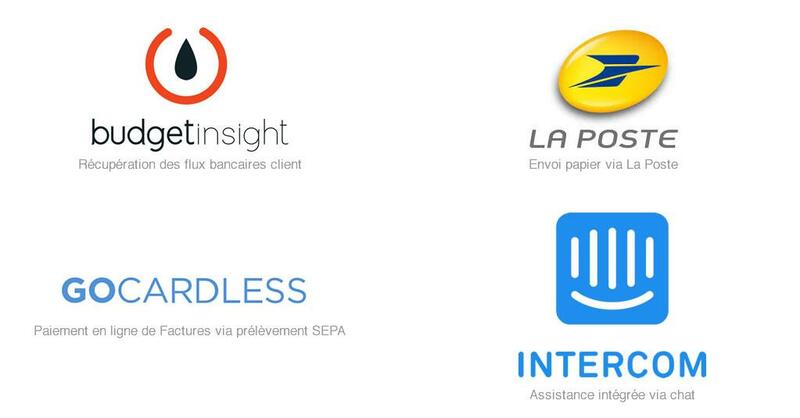 The solution allows you to bill and track transactions in a snap, to personalize and color code your documents and to have an eye on your finances, all in real time. For your Accountant, all data is dematerialized and accessible in the correct format (without inputting or manipulation of papers). 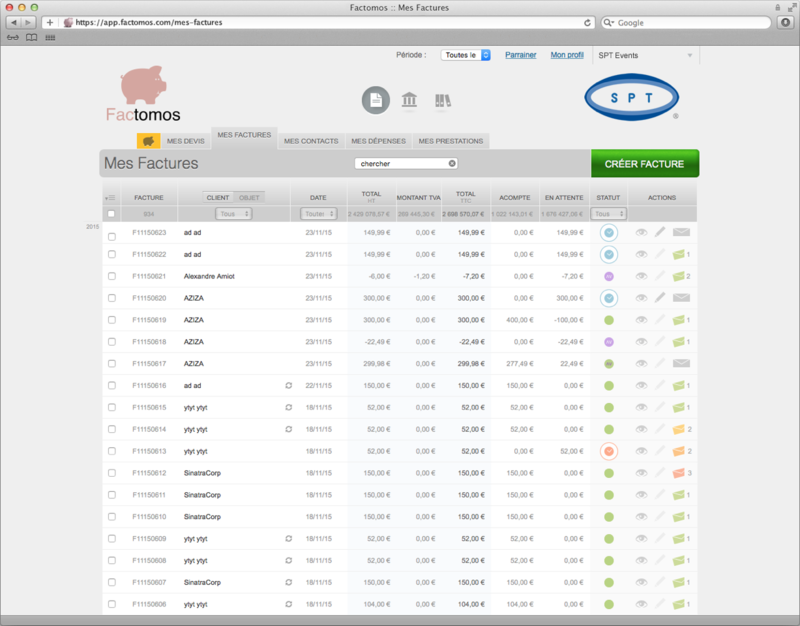 The ease-of-use of Factomos turns billing into fun. 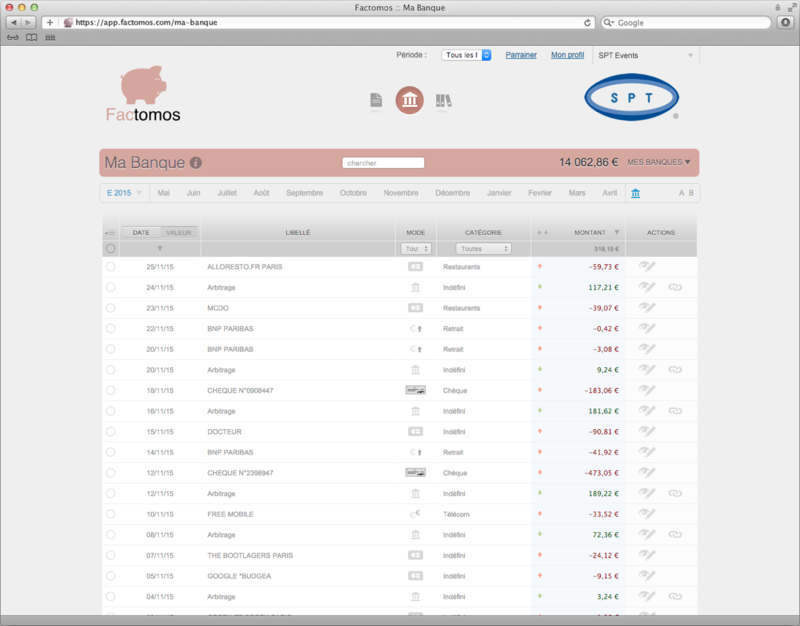 Factomos allows a real saving of time in its management of customer invoicing, without entering into the accounting concepts that are left to the Accountant. Factomos makes the complicated simple and fun, while maintaining a flexibility to adapt to the specific needs of each user. Its user friendly interface allows you to immediate take control without any training.